According to a report, the Phillies are willing to pay $50 million of the remaining $60 million of first baseman Ryan Howard‘s contract to trade him. Howard is hitting .235/.235/.441 with two homers this Spring and was dogged by trade rumors all winter. Analysis: It is hard to imagine that Howard has much trade value, at all. From 2012 through 2014, Howard ranks dead-last among 37 qualifying first baseman in FanGraphs’ version of WAR, ranking 33 of 37 in OBP and 28 out of 37 in SLG, a former highmark for Howard. Last season was Howard’s first season of 325 or more plate appearances since 2011 and Howard lead baseball in strikeouts. Maikel Franco has not put much pressure on the Phillies to open up a position for him to play this Spring (.207/.207/.207) but just about any replacement at first base would outperform Howard at this point. Howard’s OBP from 2012-2014 ranks 183 out of 213, SLG 133th behind Jason Kubel, Jonny Gomes, Delmon Young, and Jed Lowrie, 169th in wOBA, and 187th in defense despite defensive rating by FanGraphs being an accumulative stat and Howard missing over half of the 2012 and 2013 seasons. 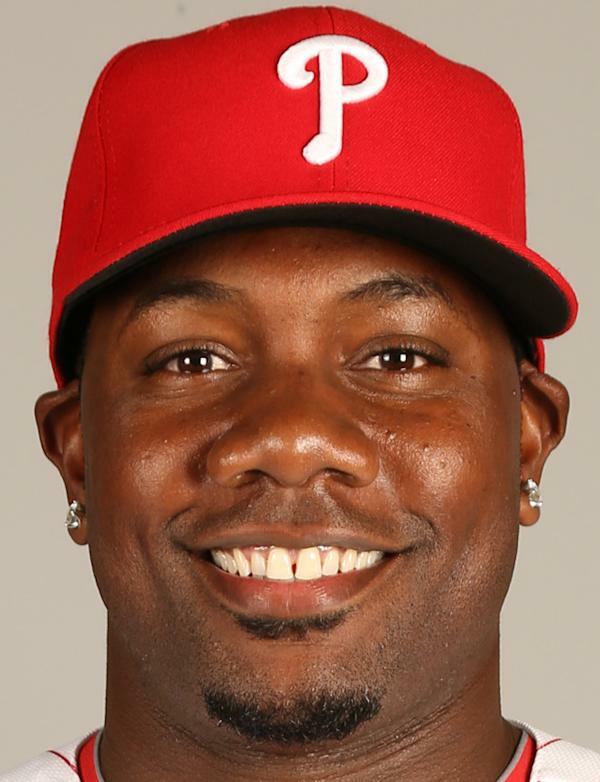 It is clear by Howard’s stats at this point that a large majority of professional baseball players would serve the Phillies better at first base, including Franco, Darin Ruf, or Chris McGuiness (.444/.615/.444 in nine Spring Training at bats) but even with the Phillies willingness to eat his 2015 and 2016 payments, they will likely be unable to find a taker for Howard because most teams have at least a handful of players who could outperform Howard, even if they are not traditional first basemen.